If the Laptop Screen of your Dell Inspiron 15R 5520 Laptop has been broken or some vertical / Horizontal lines / Black Patches have developed due to any damage or it is showing incorrect colors or Low Screen Brightness and Contrast then this Dell Inspiron 15R 5520 Replacement Laptop Screen is the perfect choice for you. This Dell Inspiron 15R 5520 Replacement Laptop Screen has 1366x768 Resolution with LED backlit display with 40 Pin Connector on right side (if look from backside of screen). This Dell Inspiron 15R 5520 Replacement Laptop Screen is covered with hassle free warranty from India’s No.1 spare parts website pctech.co.in so buy with confidence. Disconnect the AC Adapter from your laptop.Unlock and remove the battery. Use your fingers and pull the bezel carefully from the display assembly. Remove two screws on the top the display assembly. Disconnect one cable from the web camera module. Remove two screws from right side mounting bracket. Remove two screws from left side mounting bracket. Now remove the display cable from the backside of screen. 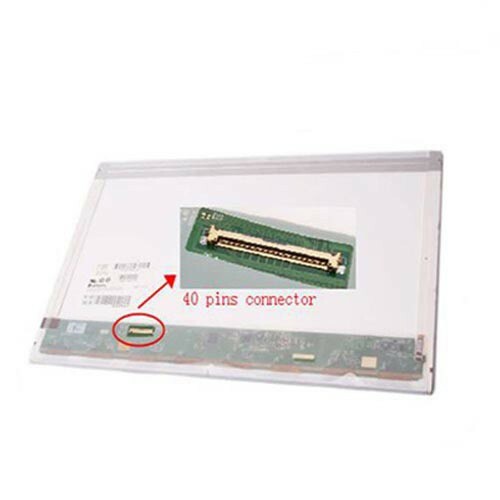 Install new screen using the same procedure in reverse order and plug the AC adapter to check the display.If everything is ok then complete the fitting and your laptop is ready for use. Laptop Screens / Displays are manufactured by companies like LG-Philips, Samsung, AU Optronics, Chi-Mei, Innolux, BOE, Toshiba, Hannstar, Chunghwa, Sharp etc.They are globally recognised manufacturers of screens and they strive hard to maintain the highest quality of Laptop Screens and these brands are used in laptops, tablets and smartphones by laptop manufacturers like Apple, Dell, HP, Acer, Lenovo, Sony, Toshiba to name a few.